Milton Friedman would have been 100 years old today (July 31, 1912 – November 16, 2006). Here are some of his best quotes, many of which are very timely given Obama’s assault on our liberty and on our core values. Which ideology advocates hatred and violence? After the shooting spree in Aurora Colorado there were predictable voices on the left ready to blame the Tea Party. This happens after any tragedy like this. This time it was ABC with the embedded political operative George Stephanopoulos and the disgraceful hack Brian Ross speculating on air that the shooter might be a member of the Tea Party. There is no journalism involved here, just left-wing politics in play. There is absolutely no basis for suspecting that any violent act came from a member of the Tea Party. Here is the platform of the modern Tea Party. Judge for yourself. Preamble: The Tea Party Movement is an all-inclusive American grassroots movement with the belief that everyone is created equal and deserves an equal opportunity to thrive in these United States where they may “pursue life, liberty and happiness” as stated in the Declaration of Independence and guaranteed by the Constitution of the United States. 1. Eliminate Excessive Taxes – Excessively high taxes are a burden for those exercising their personal liberty to work hard and prosper as afforded by the Constitution. 2. Eliminate the National Debt – By implementing fiscally conservative policies at all levels of government, progress can be made toward eliminating the U.S. National Debt. Massive increases in the National Debt have created and continue to create a huge burden for the next generation of Americans, thus imperiling the country’s short-term and long-term economic health and prosperity. 5. 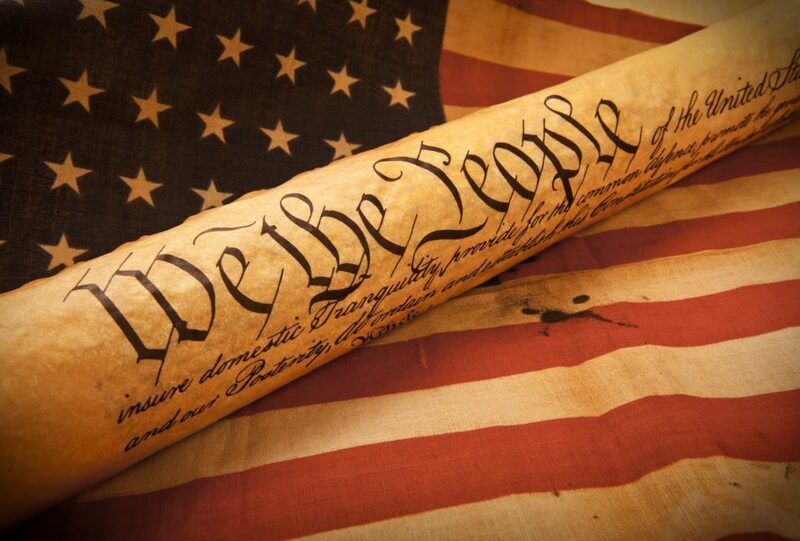 Abide by the Constitution of the United States – The U.S. Constitution is the supreme law of the land and must be adhered to without exception at all levels of government. This includes the Bill of Rights and other Amendments to the U.S. Constitution and their provisions designed to protect states’ rights and individual liberties. 6. Promote Civic Responsibility – Citizen involvement at the grassroots level allows the voice of the American people to be heard and directs the political behaviors of our representatives at both the local and national level so they, in turn, may be most effective in working to preserve the life, liberty and pursuit of happiness of this country’s citizens. 7. Reduce the Overall Size of Government – A bloated bureaucracy creates wasteful spending that plagues our government. 8. Believe in the People – The American people, given their guaranteed freedoms, will thrive in a democratic, capitalist environment which allows individuals to strive toward ever greater achievements, innovations and the efficient production of needed and valued goods and services. 9. Avoid the Pitfalls of Politics – American politics is burdened by big money from lobbyists and special interests with an undue influence on the peoples’ representatives. The Tea Party movement is seen as a threat to the entrenched political parties and thus is the continual target of smear campaigns and misrepresentation of its ideals. We choose not to respond to these attacks except to strongly and explicitly disavow any and all hate speech, any and all violence as well as insinuations of violence, and any and all extreme and fringe elements that bring discredit to the Tea Party Movement. We are a peaceful movement and respect other’s opinions and views even though they do not agree with our own. We stand by the Tea Party beliefs and goals and choose to focus our energies on ensuring that our government representatives do the same. 10. Maintain Local Independence – The strength and resilience of a grassroots movement is the ability of citizens at the local level to determine their own platforms, agendas and priorities free of an overriding central leadership. Now let’s look at some of the beliefs and teachings of people from the left. Bill Ayers: Ayers was the mastermind of a campaign of bombing public buildings (including police stations, the U.S. Capitol Building, and the Pentagon) during the 1960s and 1970s. Reverend Jeremiah Wright – President Obama’s pastor for several years. Margaret Sangor – Founder of Planned parenthood. Since abortion is the religion of the Democrat Party, she is like their Jesus Christ. These are just a few of the left’s heroes. If anything the press should look to the left as a source for violent actions. In reality when there is a mass murder as in Aurora it is usually the actions of a sick or evil person with no particular political agenda. You Didn’t Win That Gold Medal! For some reason the President did not receive loud cheers from the crowd of Olympians. 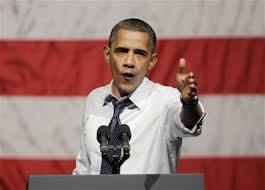 It is understandable to get depressed when you hear news that Obama is up by x points in the most recent poll. After all, polling is scientific, right? Well polling is a statistical process that if done correctly can be said to be statistically valid. But most political polls are just tools to prop up a candidate, demoralize the opposition and or to create a news story. Polls are frequently manipulated by pollsters calling the same (reliable) Democrats time and again. Also, you will see that most polls by the major networks or newspapers are taken of “registered voters”. The only credible way to poll an outcome of an election is to poll “likely voters”. Another technique used is to skew the universe of people to be polled. The universe is often manipulated to favor Democrats. The universe certainly is not representative of the US population. This poll was clearly a way to rescue Obama from his falling popularity. Real Clear Politics (RCP) calculates an average of several polls on an ongoing basis. They show Obama up by 1.3. However, you will notice that most polls use registered voters. The Real Clear average of likely voters has Romney up by a half point. The RCP average of likely voters is usually pretty close. The last RCP before the 2008 election had Obama at 52.1 versus McCain at 44.5. The final results were 52.9 vs. 45.6. The Rasmussen poll is the most credible poll out there. It had the race at 52-46, right on the mark. Currently Rasmussen has the 2012 race at 44-47, Romney. Don’t get caught up in the main stream media’s attempts to prop up their candidate.